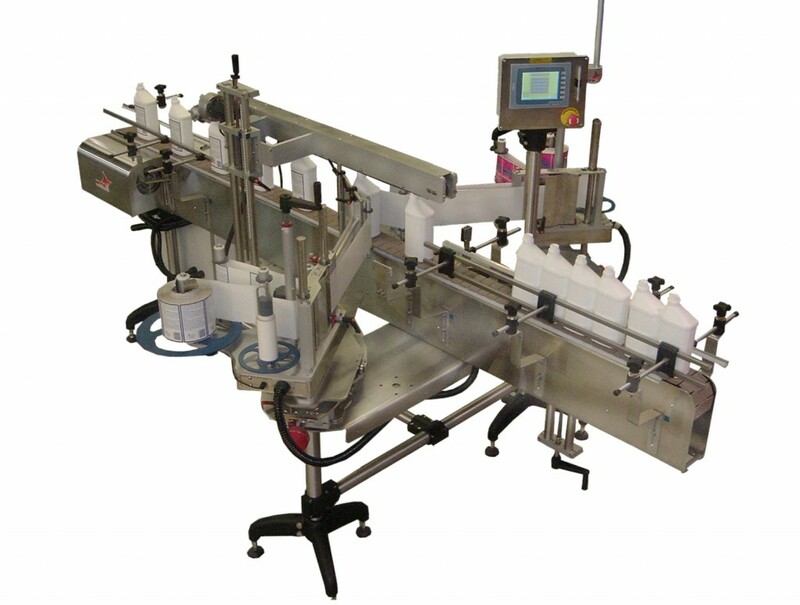 NITA’s AE-612MKII Wipe-on labelers are high-end, servo-driven labeling heads, ideal for the top, side or bottom applications of pressure sensitive labels. 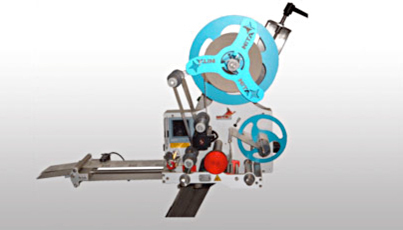 Mounted on a high-end floor stand, these stand alone labelers are easily adaptable to any shop. The AE-612MKII is built with heavy-duty stainless steel and anodized aluminum, and comes standard with NO PROPRIETARY components. EZ change-overs of 12″ (304.8 mm) or 16″ (406.4 mm) media wheels on 3″ core (76.2 mm). NO TOOLS required. Speeds and label lengths are self adjusted digitally through the HMI touch screen. The AE612MKII features: standard precision gradient rulers reflected in HMI, tool-less changeovers, user-friendly color-evident adjustments, Will synchronize to any existing conveyor. NO proprietary electronic means NO “PLCs or microprocessors”. Add to that a pathfinder alignment module,a products pacing station and a synchronized top clamping belt to produce an extremely versatile complete system. Supplies accurate label applications and positioning of any size labels up to 6″ (152.4 mm) high and optional 9″ (228.6 mm) high. Products that can be labelled are as varied in sizes as they are in shapes. Ranging from flat, oval or square, they can be bottles, cans, pill containers, shampoo bottles, small toy boxes, spice jars tape dispensing devices, and even small cartons. For mission critical, optimal output, ease of operation and extreme durability, the SynerG XP system is the solution! As usual with all Nita products: NO PROPRIETARY components, NO TOOLS required for change-overs! This packaged Joust system facilitates the application of two separate labels where an identification of a product needs to be on the top of the product and a bottom label needs to have nutritional values and ingredients. Meat labeling is a great example. 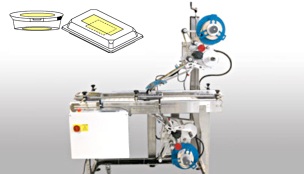 Nita Labeling Equipment has been building high quality packaging and labeling equipment since 1990.